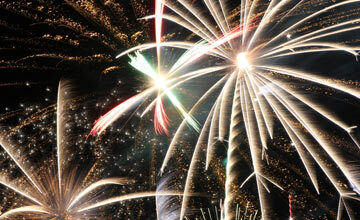 Do you need a fireworks display for your event? 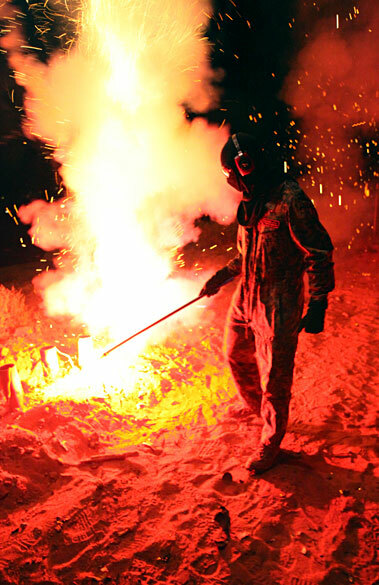 We can provide firework displays and event effects throughout the state of Arizona. Call 928-458-5295 or Email Today. 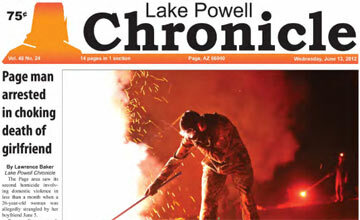 Page, Arizona and Lake Powell host the largest fireworks display in Northern Arizona every 4th of July. 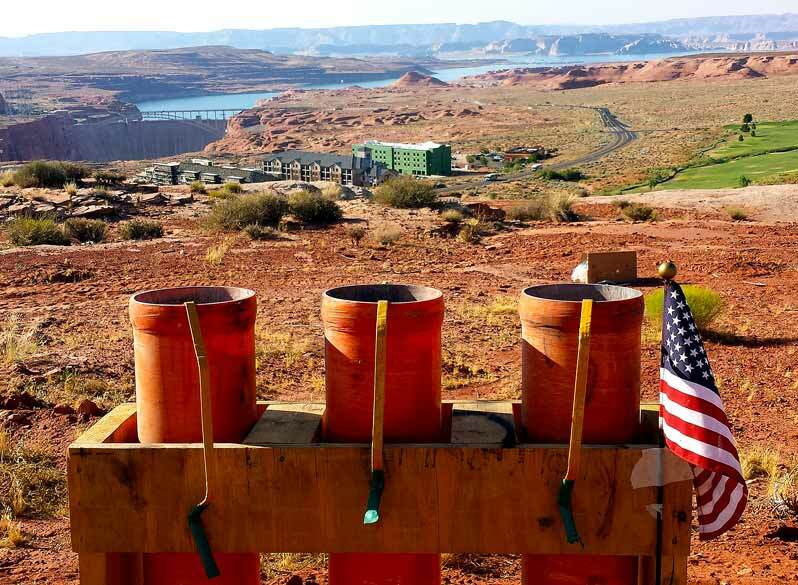 An amazing display of over 1773 shells are launched from the rim of the Lake Powell National Golf Course and are visible for miles. 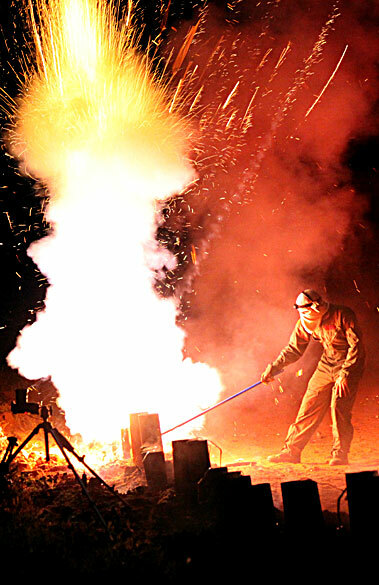 With the location and height of the launch site the show can be viewed by boaters on the southern end of Lake Powell and throughout the entire city of Page. The display lasts around 20 minutes and consists of firework shells 1.5", 3", 4", 5", 6", and 8" in size, reaching heights of over 800' feet! 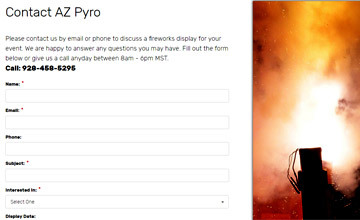 This years (2018) show promises to be one of the best fireworks displays Page and Lake Powell have ever seen! We have redesigned the show again and it is more spectacular than ever. The Grande Finale, featuring 524 shells, promises to be an amazing event of light, sound and synchronicity (read latest news). New "Low Level Fireworks" are now part of the display and we suggest you watch from a prime viewing spot. 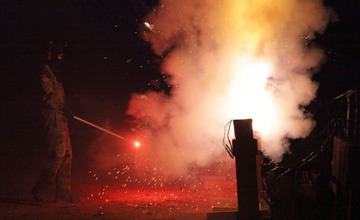 The low level fireworks produce shaped effects and visually stunning scenes. 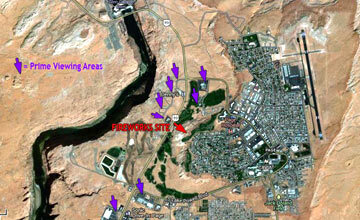 Check the City Map for location of the launch site and viewing areas. See All Restricted Areas. 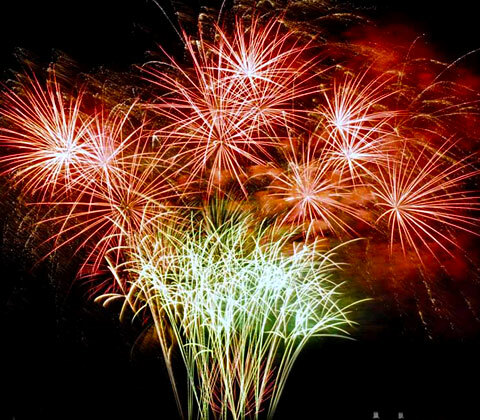 Page, Arizona 2018 Fireworks Start @ 9:00 PM on Wednesday July 4th. Check out the Photo Galleries for all images.